Veganism has seen a real spark in popularity over the last few years.Though it has been around for decades, a new generation of activists and environmentally conscious people have begun to see the benefit that a vegan diet can have not only for their bodies and health, but for the planet as whole. It is probably safe to say that now, more than in the past, the options for vegan eaters has increased in a huge way. When in the past vegans were made fun of for only “eating lettuce”, now there are plant-based recreations and versions for virtually anything from chicken wings to cheese to sour cream. 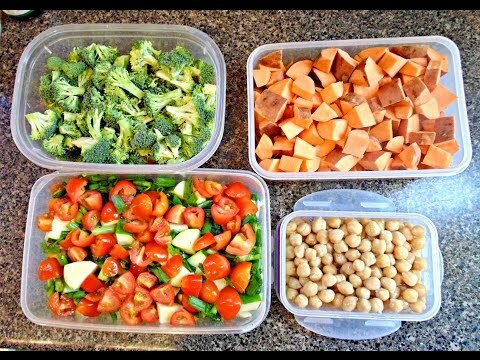 With so many more options and ways of experimenting with delicious, plant-based food, it is no wonder that vegans have been huge advocates of meal prepping and healthy prepared foods. One thing that is true about vegan or vegetarian diets is that they take a little bit of work to get right. Sometimes, vegans need to be a bit more creative, especially when they are trying to recreate a favorite dish of theirs from before they went vegan. For example, instead of mixing a box of processed mac and cheese when they want a little comfort food, a vegan would instead have to make their own cheese. While there are vegan cheese options you can buy at the grocery store, many of them are also highly processed and vegans do not generally like to cook with them if they can avoid it. Instead, a healthier, whole food option is preferable. One of the most popular cheese substitutes is made from boiling potatoes and carrots and mixing them in a blender with plant based milk, jalapenos, spices and nutritional yeast. The result is a cheesy, creamy, somewhat spicy substitute for cheese that pairs great with noodles, but in a much healthier way. As you can see, this prep is much more involved than simply mixing some butter and milk and a powdered cheese packet and that is one of the biggest reasons why vegans appreciate meal delivery. When meals are prepped or delivered, they can save a lot of time on having to create different sauces or substitutes.Instead, it is far easier to have larger batches of these staples or meals delivered that have already done the work for them. Seitan is a popular meat substitute for vegans, but the process of making it is extremely time consuming. Instead, when companies like The Prep Shop can deliver healthy meals to the door, so much time is saved, but health and flavor are not sacrificed. The bottom line is, veganism is good for the planet and good for the human body, and for those who choose to follow a vegan diet, they should not be punished for doing so by having to work exponentially harder to eat the way they want to. Instead, meal delivery and meal prep can help them to always have the staple foods they need on hand so that they can continue making healthy meal decisions and following the type of diet they believe in. A well-made gutter will ensure that leakage does not occur. If there is a period of time where it rains lightly over the course of a few days, rain water can still build up, get clogged in gutters and cause damage. This is especially common if there are numerous seams along the gutter for debris to get stuck in. Once debris like sticks or leaves, gets stuck, it can develop a clog in the gutter which will back up the rain water and cause leakage, or worse, a burst in the gutter. With a seamless gutter machine, it is possible to reduce the amount of seams in a gutter, ensuring a smooth path for the rain water to travel along, delivering it to the proper location away from a structure. This same principle applies during larger rain storms that produce a high volume of water in a short amount of time. This can quickly and easily overwhelm the gutter system on a structure, which can cause interior flooding or, in the case of bursting gutters, can make it possible for water to collect along the foundation of the structure. When water collects at the foundation of the structure, it can easily seep into the ground and cause flooding or water damage in basements, storage areas and more. Gutter machines make it possible to reinforce gutters in a way that other production types cannot accomplish. A smooth interior and less seams or cracks make gutters last longer than the standard aluminum sectional gutter. Sectional gutters also cause problems in a structure because when leaks occur at the seams of sectional gutters over an extended period of time, they can cause the wood (assuming a structure is made of wood) to rot. Rot is both unsightly on a structure and can affect the structural integrity. To prevent this, seamless gutters are a benefit. If you are in the market for a technical job that allows you to work with your hands, doesn’t require you to be chained to a desk and help provide people with comfortable lives, look no further than HVAC repair. HVAC stands for heating, ventilation and air conditioning and it is the system by which buildings or structures receive the appropriate heating and cooling it needs to be comfortable. HVAC work is vital to most buildings and has become the standard for apartment complexes, office buildings, medical centers and more. Human beings are particularly sensitive to temperature and can easily become too hot or too cold based on only a few degrees difference. While jobs in heating, ventilation and air conditioning require a certain level of training, this can be gained through schooling and apprenticeships in a short amount of time. In a society that is extremely tech forward and all about creature comforts, a job in HVAC is a promising step toward a long-term career. Here are a few of the benefits to working in the HVAC Colorado industry. The HVAC industry has good hourly and salary rates: Since HVAC professionals are in such high demand, the pay for these jobs is generally quite good. On average, starting hourly rates are in the high teens and salaried positions can run between forty and forty-five thousand a year. The HVAC industry is in high demand in Colorado: Colorado is notorious for having numerous and often dramatic shifts in temperature throughout the year. In fact, it’s one of the only states that has four defined seasons, each with very different core weather patterns and temperatures. Because of this, HVAC maintenance is a top priority for those who live and work in Colorado. The HVAC industry will never go out of style: Since people value their comfort where they live and work, the need for heating, ventilation and air conditioning will never go away. In Denver, where development has hit an all-time high, more and more buildings are being built and are in need of HVAC contractors. The HVAC industry provides steady work: As mentioned above, the constant changing of temperatures and seasons in Colorado means that there will always be steady work for HVAC professionals. Adjustments to HVAC systems are necessary multiple times throughout the year to keep people warm or cool depending on their needs. The HVAC industry provides a way to help people: It may not be the most obvious, but keeping people comfortable in their home or office makes them happier, healthier and more productive. In addition, swings in temperature are also one of the factors that will exacerbate the common cold, meaning that well-maintained temperature control can help keep people from getting pesky flus and colds. The job stability and good pay are great reasons to join the HVAC industry, but also keep in mind that HVAC professionals are doing a highly appreciated public service as well. The combination of these factors makes HVAC work extremely appealing to many. For most high school graduates, starting college is one of the most exciting times of their lives. Many are moving out on their own for the first time, some of them even to a new city or state. 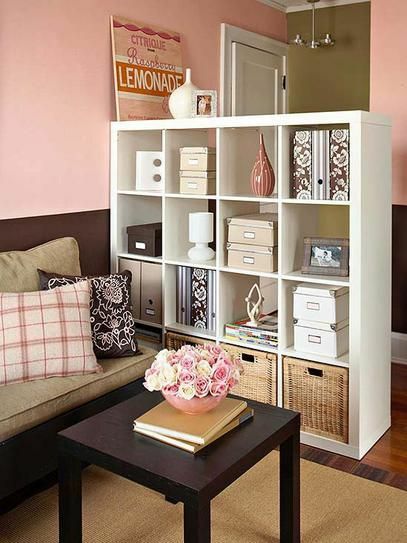 This can be a little scary, but one of the most fun parts is decorating a new space. Up until this point, the only place in your house where you had any say was likely your bedroom. The rest was probably designed based on what your parents’ tastes were. Now, in a new college apartment, you are in charge of decorating every part of the space from the bedroom to the living room to the kitchen, to the bathroom and beyond. If you are still on the fence about what kind of style you might want to have, here are a few ideas. Eclectic- If you have a lot of odds and ends, hand-me-down furniture and general love of thrifting or antiquing, this style is for you. It is one of the most cost effective because it utilizes used pieces and does not require a particular set of style rules. Instead, an eclectic style is about mixing pieces that generally do not seem to “go” together and using them to make a room feel charming and unpredictable. Global- If you are someone who likes to travel or who has traveled a lot, a global style is a great way to showcase this in your Safford apartment. Globes, vibrant prints, books and carvings make great accent pieces for this style. It is also a great way to utilize tapestries or scarves you got in different locations by hanging them on the wall as art. Minimalist- Minimalist style uses clean and simple lines, textures and decor. White, grey and light wood are popular for this style as are plants as decor and airy, spacious rooms with functional but few furniture pieces. This style goes especially well in bright apartments for rent with hardwood or concrete floors. Hygge- The Danish practice of hygge is all about being creating a cozy environment. Initially developed as a way to make it through brutal and cold winters, hygge is generally synonymous with comfort. Rich colors like wine, cognac, cream and pumpkin and heather grey are popular as are soft fabrics like wool, faux fur and luxe suede. Comfy, over-sized armchairs and plush pillows make good accents. If you have a fireplace in your apartment or live in a cold climate, the hygge style may be perfect for you. Tuscan- For more of a traditional vibe, especially for someone who likes to cook, Tuscan or Italian country styles are a good bet. This incorporates lots of beautiful lines, earthy colors and nods to food. Olive, mustard, cayenne and chocolate colors are ideal. It is also a great style if you want to display pretty dishes, bottles of infused olive oil or table settings. There are many ways to decorate a home, just make sure that whatever you pick, feels authentic to you. No more glasses. Some people are actually quite put off about having to wear glasses. Some think glasses do not look good on them, some have a hard time going about their daily lives, some people have a hard time being active in them and others, still, think it requires too much maintenance and effort to bring glasses everywhere and anticipate all situations where they might be needed. With lasik surgery, all of these issues disappear. Many people say that having lasik made them feel like a kid again because they could go places without having to tote their glasses along. Cost effective. While the initial cost of lasik might seem high, it pays for itself over time because of the fact that you no longer have to buy expensive glasses, frames, lenses, cleaner, contacts, contact solutions, cases and more. You will also spend less on eye doctor visits as well. If you have been a glasses wearer for some time, you know that it can actually get quite expensive and with lasik, although there is an initial investment, it is much less when you total up the potential of how much you would spend on glasses and/or contacts over time. The procedure is easy. Unlike many other medical procedures such as cornea treatment that may have a longer heal time, lasik surgery is a quick, painless procedure. Some patients experience pressure on the eye, but the eye is numbed prior to the procedure to ensure there is no pain. In addition, your eye starts healing immediately after the procedure. In fact, many people go back to work or school the very next day. Though you will have a few check-ups with your doctor afterwards to ensure that your eye or eyes are healing properly, the heal time is generally very fast. If you are considering lasik eye surgery after a lifetime of wearing glasses or contacts, you should know that it is a very good option. Many who have had the procedure say that it changed their lives for the better and if given choice, would do it again. The success rate for lasik surgery is extremely high, with nearly every patient seeing long-term and immediate improvement to their eyesight. This is a good thing to keep in mind as well, particularly if you are a bit nervous about the procedure. The points above may help confirm your decision to get lasik at Mile High Eye Institute simply because their are so many large benefits. 1. Teeth whitening- Statistics show that a large majority of people are most self conscious about the color of their smile. Adults especially, who have years of wear on their teeth and staining from coffee, soda and wine are often upset about the fact that their smiles no longer look bright and white. There are many drugstore whiteners available to purchase and do at home, but the reality is, having whitening done by a cosmetic dentist will yield the best results. 2. Straightening- Another feature that many people are insecure about is crooked teeth or smiles. For adults who did not have orthodontic work as children and have continued to have crooked teeth throughout their lives, this is perhaps one of the most upsetting dental concerns. Luckily, now there is Invisalign, which can help anyone on their way to a straighter, more beautiful smile without the embarrassment of big, metal braces. Invisalign is essentially a plastic tray that fits into the mouth and over the teeth like a retainer. There are numerous different sizes of the tray that the patient will transition into as their teeth move. One of the best things about Invisalign is that it can be removed when necessary, like for eating or big events. 3. Porcelain veneers- When all else fails and teeth are too far gone to be helped by straightening and/or whitening (or perhaps the patient simply opts for this route because of maintenance), porcelain veneers are the way to go. These are long last porcelain caps that fit over existing teeth and create an entirely new smile. Veneers are great because they do not stain and they could last indefinitely with the proper care. A smile is one of the most prominent features on a face so it makes sense that people would be particularly sensitive about making sure their smile looks as nice as possible. 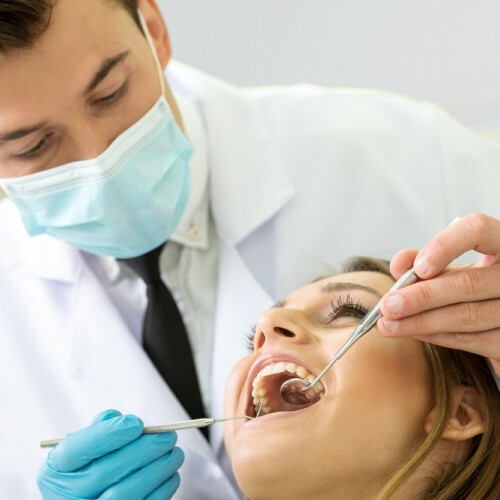 For many people, one of the most foolproof ways to make sure of that is by investing in cosmetic dentistry such as whitening, straightening or veneers at a place like Riverfront Dental Designs to give them the smile of their dreams.